Take the worry out of investing with Auto-Vac. 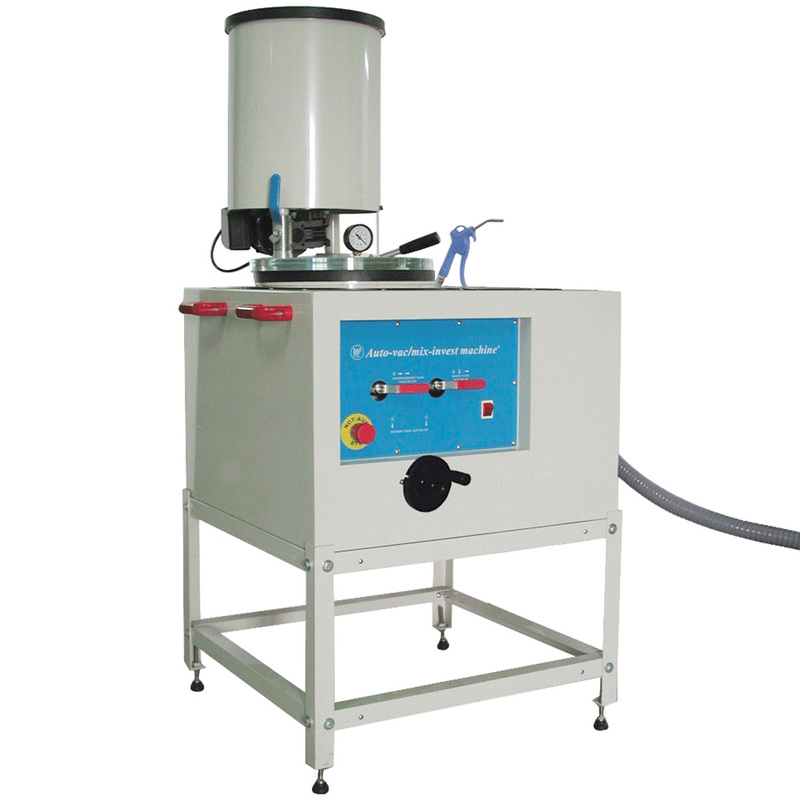 This timesaving machine mixes investment and fills flasks under full vacuum, elminating the air bubbles that hurt casting quality and kill productivity down the line. Produces smooth, crisply detailed molds which result in better castings. Also helps keep dust out of the air for a healthier workspace. Easy to use and clean: place flasks in vacuum chamber, swivel mixing unit over it, pour water and investment into mixing unit, seal lid and run machine; when done, swivel mixing unit over wash basin and clean out with water gun. Includes two all-metal stands for flexibility. Requires 10 CFM vacuum pump (see "Related Products" below). Mixes and fills in a controlled environment to help reduce casting defects. Reduces exposure to harmful investment dust. Includes 2 stands (47-1/4" and 55" high) so you can choose the most convenient working height. Investment Capacity: up to 40 lbs.